Disclaimer: This article was provided by Bitcoin PR Buzz. Bitcoinist is not affiliated with Bitify and is not responsible for its products and/or services. The changes occur after two years of successful operation as Cryptothrift. IN the meantime, Bitify has “achieved continual growth since it began trading two years ago, with over 200% growth in the past 12 months alone”. 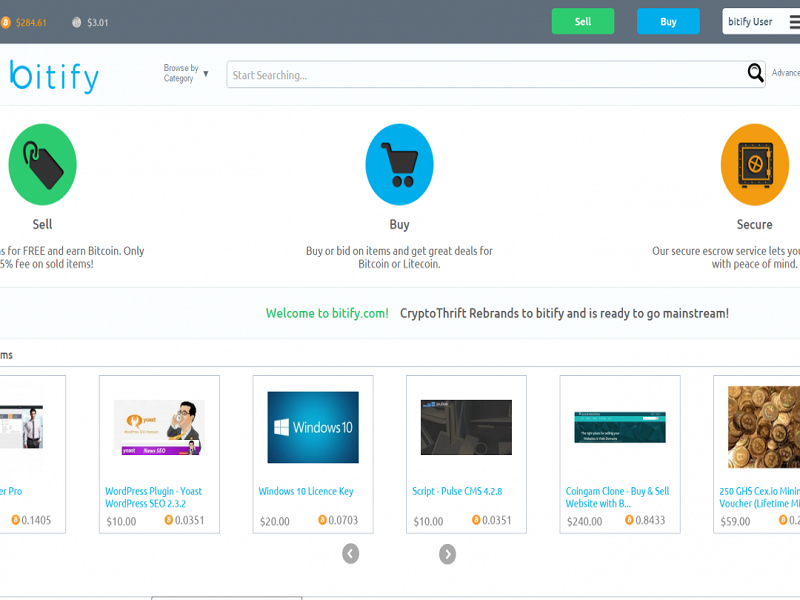 Bitify has grown from a bootstrapped project to an entire ecosystem that relies on Bitcoin and Litecoin and allows buyers to view listings for virtually anything. The name is quite simple and clever, potentially making a verb synonymous with a brand if it catches on. Instead of selling items for Bitcoin, users are “bitifying” their items. Currently, Bitify is working to transition into the brand from Cryptothrift. All existing links will automatically forward to the correct bitify ones, and same goes for email addresses. Support IRC channel has already changed to #bitify, but #cryptothrift will remain open for a year. Social media transitions are in the works already, and Bitify promises to update as necessary.